Garage door openers use some type of remote control system to allow you to order them when to open and close. There are different types of automatic openers available on the market today and when it comes time for you to get a new one, you may get confused as to which is the best type for your garage door. Don't worry. We're here to help. There are different types of garage door openers, but the majority of these devices usually employ a drive system of one of the following three types. The screw-drive, the chain-drive, and the belt-drive. It is important for you to understand the mechanisms of each of these types of openers and choose the one that is most suitable for your needs. Belt-drive units, for example, operate much quieter than chain-drive openers, for example, but they are also more expensive usually, and won't be able to support heavier doors as well. They can be a perfect choice for homeowners with a garage attached to a bedroom. Aside from automating the process of opening and closing your garage door, a modern opener can offer a few other main improvements to your home. Security is the first one, as many models come with all sorts of digital lock and password protected systems that can only be operated by those with the right code. That means would-be thieves won't be able to gain access to your home via your garage. The second main benefit is safety. Openers have special safety features that will prevent the garage door from closing on an obstacle in its path, thus avoiding a lot of potential accidents. Light is very necessary in the garage, especially if you return home late at night. Some modern garage door opener models have a variety of security light options to offer you, as well as a backup battery system. The latter one can be incredibly important during unexpected power outages. It will allow your opener to continue to function for several hours or longer after the power goes out, which will keep you from getting locked in or out of your garage. 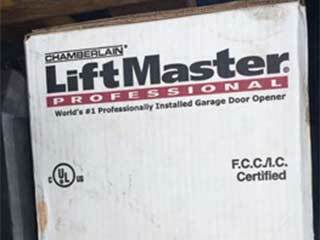 There's no reason for you to waste time and effort trying to decide which garage door opener is the one that will best suit your door. Simply contact our experts at Garage Door Repair Evanston and we'll help you find the perfect unit. Call us today.